The following is some feedback from the events held on the 8th and 9th of March at Nuwejaarsrivier in the Botrivier area. On Saturday the 8th March the Hunt, Point and Retrieve enthusiasts spent a glorious summer’s day in the Fynbos. 10 dogs were entered in the Natural Ability Test, and seven were entered in the Working Test. 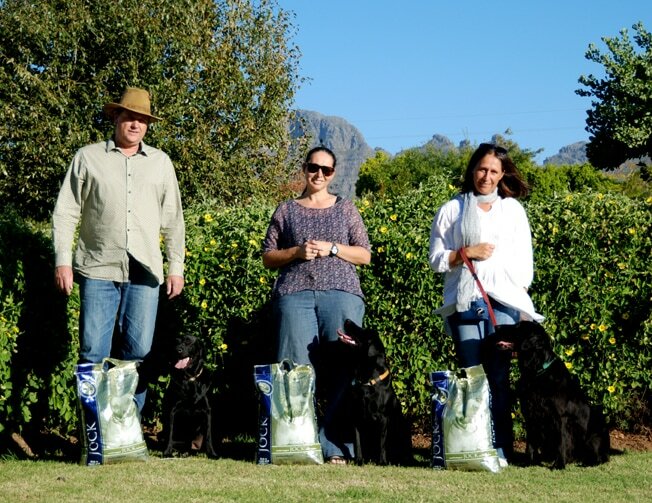 On Sunday, 9 March it was the Retrievers’ turn to show their mettle in the first ever AFGRI Animal Feeds Gundog Working Test (GWT). We had 11 entries in the Beginner Class, nine entries in the Intermediate Class and six of the dogs felt brave enough to give the Advanced Test a try. 11 hours and 166 retrieves later we noticed that there were quite a few tired but smiling faces reflecting on the events of an extremely successful day in the veld.